The largest private lake in North Carolina has 14 miles of shoreline at 3,010 feet elevation. Stream-fed waters from high in the Nantahala and Pisgah National Forests makes it one of the cleanest lakes you'll find. Thanks to the reopening of The Greystone Inn in 2018, you don't have to own a house on the pristine Lake Toxaway to enjoy it. 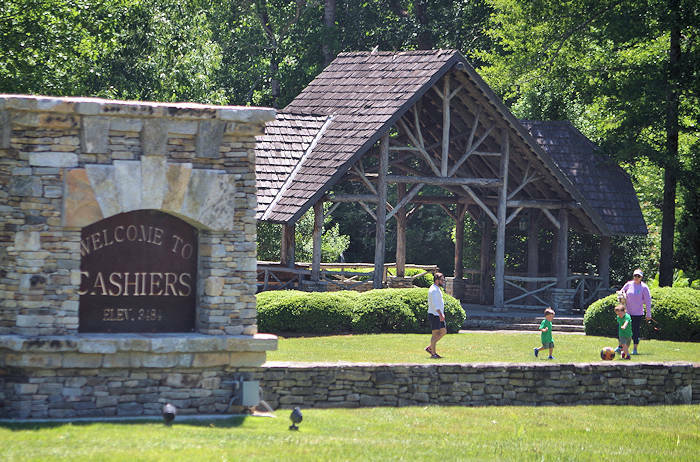 It's located between Brevard and Cashiers on US Highway 64. Perched on a knoll overlooking the lake, Greystone Inn has 30 well-appointed guestrooms, restaurant, bar and spa. After being closed for a few years, new owners Shannon and Geoff Ellis completed a major renovation and reopened the resort in May 2018. 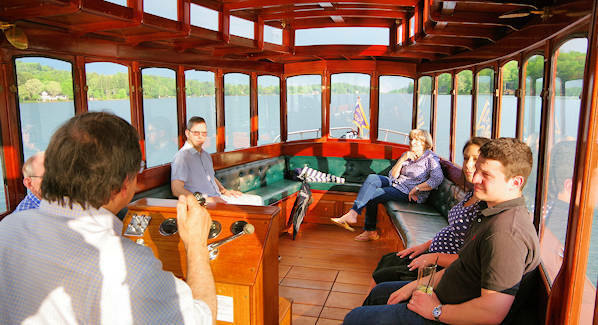 Explore the lake by kayak, canoe, paddleboard or the evening cruise on Miss Lucy. 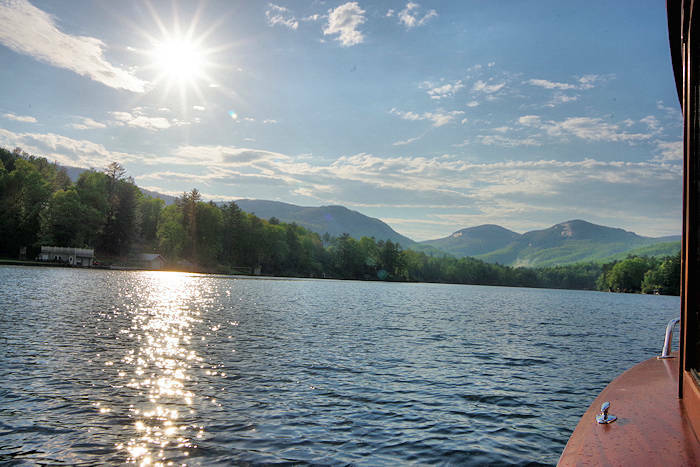 Since the turn of the century, people have been drawn to Lake Toxaway including the Fords, Edisons, and Rockefellers. 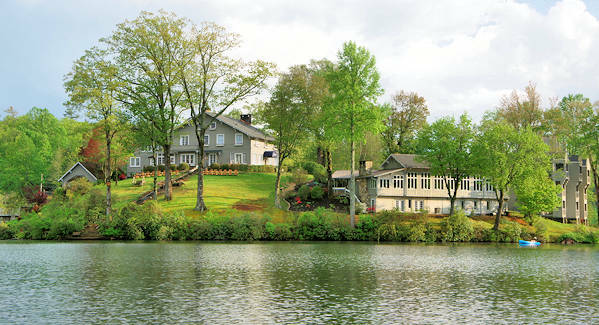 In 1915, Lucy and George Armstrong built a Mansion on the lake that became a luxury inn in the 1980s. 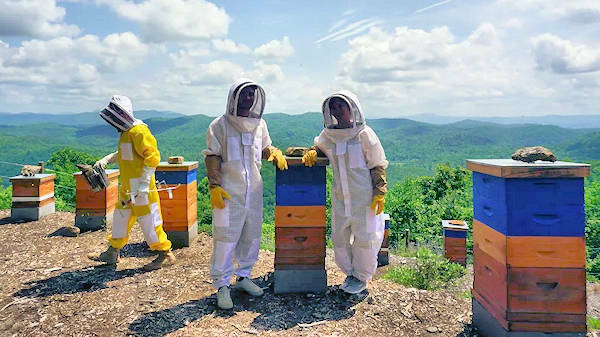 For one of the most unique tours in western North Carolina, sign up to be a "beekeeper for a day" at Killer Bees Honey Farm high in Pisgah National Forest above Lake Toxaway. The 3-hour tour includes a honey tasting / pairing and putting on a bee suit to handle the bees. Read more about Killer Bees Honey. 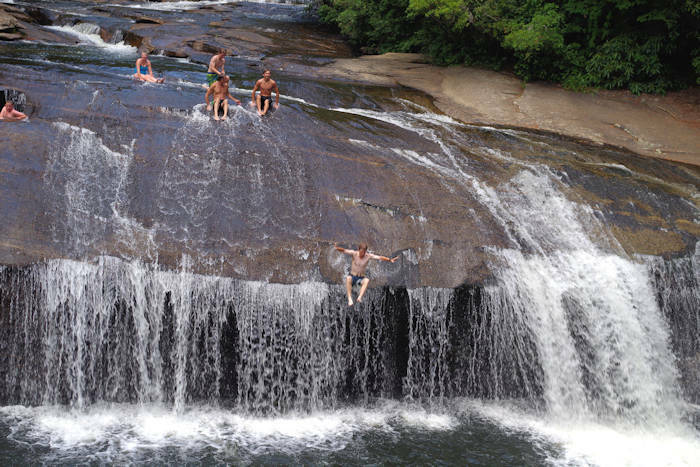 Since you will be in the middle of the “Land of the Waterfalls,” find many hiking trails and gorgeous cascades including at nearby Panthertown Valley, Gorges State Park and Toxaway Falls. Explore quaint downtown Brevard with galleries, local shops, great restaurants and local brews. You can even tour a bee farm in your own bee suit. See below for a full list!